Olympus Technical Services – 24 hour spill response. Oil spills and other hazardous spills not only cost a substantial amount of money to remediate, they also have long-term implications that can impact the surrounding environment. For example, The Deepwater Horizon spill in the Gulf of Mexico, a disastrous event that occurred in 2010, filled surrounding waters with more than 200 million gallons of oil over the course of 87 days. This catastrophic event is the largest oil spill in U.S. history, and took more than three years to completely clean up and resolve. This is just one instance of the countless oil spills that have impacted wildlife and water sources throughout the United States. This is why we will be discussing how spill responses work, and the materials used to ease the impact hazardous spills have on the environment. Olympus Technical Services, Inc. is the leading emergency spill response team and environmental service provider to areas surrounding Billings, Helena, and Boise. With a number of services to choose from such as remediation and mine environmental services, we are committed to helping our clients find the best possible solutions for their industry’s needs. To learn why our team of professionals is equipped to handle hazardous spills with ease, read more on the subject below. When Is It Necessary To Report A Hazardous Spill? According to the United States Environmental Protection Agency, you are required to report an oil spill when the spill in question “violates applicable water quality standards, causes a film or ‘sheen’ upon, or discoloration of the surface of the water or adjoining shorelines, or causes a sludge or emulsion to be deposited beneath the surface of the water or upon adjoining shorelines.” Failing to report oil spills can lead to severe penalties, as well as additional daily penalties for every day that the spill is not resolved. Hazardous substance spills, however, must be reported after exceeding a predetermined threshold for measuring reportable quantities (RQs). If a hazardous spill occurs, the EPA suggests reporting the spill to the State Emergency Response Commission as well as the Local Emergency Planning Committee. How Are Emergency Spills Resolved? There are a wide variety of acids and bases that are used based on the spill in question. Absorbents and neutralizers are typically used for chemical spills, as they can help to absorb and offset hazardous substances. 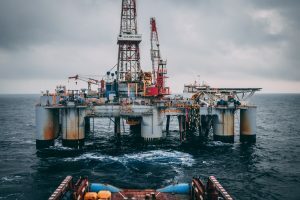 However, oil spills typically require chemical dispersants that are used to expedite the process of oil breaking down into smaller particles. This technique is used so that smaller drops of oil can mix with surrounding water, allowing the oil to be naturally processed by the Earth’s aquatic ecosystem. We hope that you enjoyed our article on the importance of emergency spill response teams. If you are currently dealing with an oil spill or a spill involving other hazardous substances, get in touch with the environmental cleanup experts today at Olympus Technical Services, Inc. We know that you will be pleased with our extensive list of environmental services, and urge you to contact us today to learn exactly how we can help your business. We look forward to speaking with you!